OBSERVER Photo by Andrew David Kuczkowski Judi Lutz Woods, right, of Fredonia dresses as the Statue of Liberty during Saturday's Women's March at Fredonia's Barker Common. The third annual women’s march had satellite rallies from around the nation on Saturday to promote equality. In Fredonia, speakers after the march stated opinions opposing President Donald Trump’s actions and sentiment as well as voicing support for women through equal rights and to make a difference. 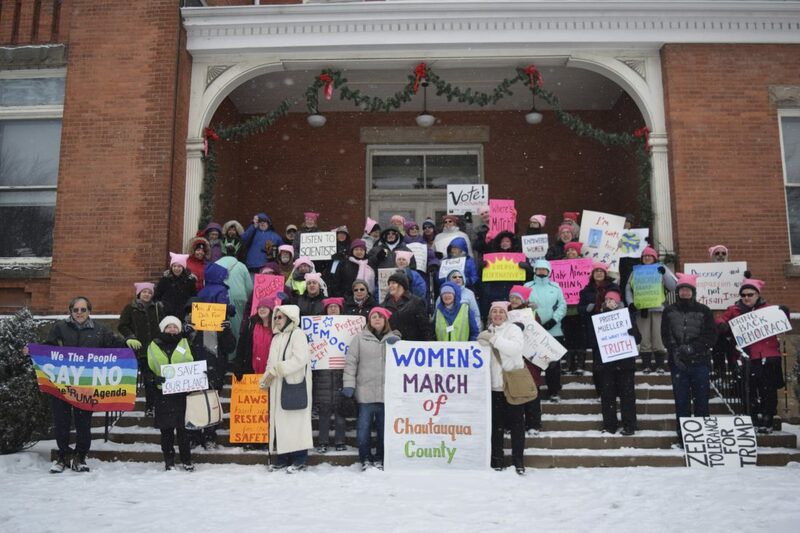 The local march, with around 60 participants in the snow, began at Barker Commons and went to the Fredonia Grange No. 1, at 58 West Main St. Many held signs and chanted for unity. The Chautauqua-Cattaraugus Women Action Group co-director Mary Jane Wagner voiced her opposition to President Trump as she believes he had a bully-like approach to his campaign in 2016. She referenced the 2005 “Access Hollywood” video tape, where Trump said he could grab women’s privates due to his economic stature and power. She added that this will be her final event during her tenure as she will step down in February. OBSERVER Photo by Andrew David Kuczkowsi Participants of the Women's March of Chautauqua County hold their signs at the stairs of the Fredonia Village Hall on Saturday. LeeAnn Lazarony followed Wagner. The former eight-year Cassadaga mayor and Democratic nominee for the 2016 Chautauqua County clerk race stated that she has continuously climbed uphill. In middle school, she joined the track team. She was the only girl and her father didn’t approve at the time. 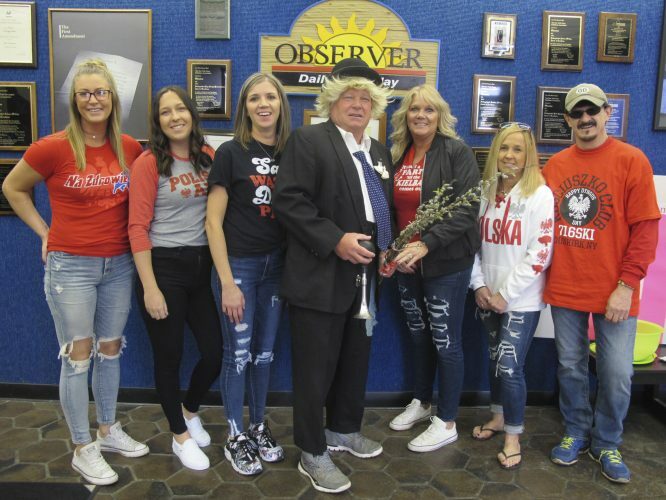 After articles in the OBSERVER and The Post-Journal headlined Lazarony beating boys in track, “(my father’s) actions changed. I got my varsity letter in track in seventh grade and beat so many boys. I still have the (news) clippings,” she said. She used that as inspiration to compete, despite the odds. She was the trailblazer of a criminal justice program at Jamestown Community College and earned a degree from there and SUNY Fredonia. After losing the 2016 county clerk race, Lazarony said she was encouraged by all the women out there who saw the benefits of a woman putting in the effort and having a voice. Miriam Lugo-Alfaro, a Dunkirk native who now teaches in the city school district, spoke on the importance of making a difference, even if it’s only one thing at a time. Dr. Julia Wilson is a professor at the State University of New York at Fredonia and a village resident. She focused on climate change initiatives and the importance of limiting manmade harm like plastic or electricity use. Judy Einach capped off the speakers. 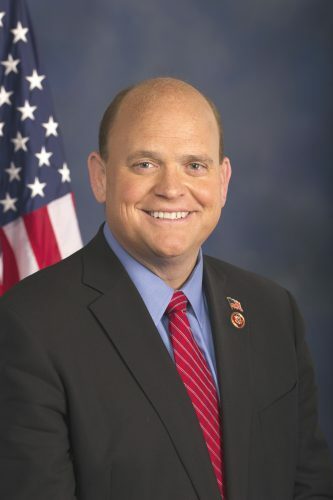 Einach ran for the state’s 150th assembly district this past November. The Westfield resident has a master’s degree from Harvard University. Einach advocated the positives of economic socialism for women. She believes it would put men and women on equal footing in power and monetarily. Her goal was to urge women to fight for equal pay and benefits. SUNY Fredonia President Ginny Horvath was scheduled to speak but was unable to make it due to a conflicting event at the college. 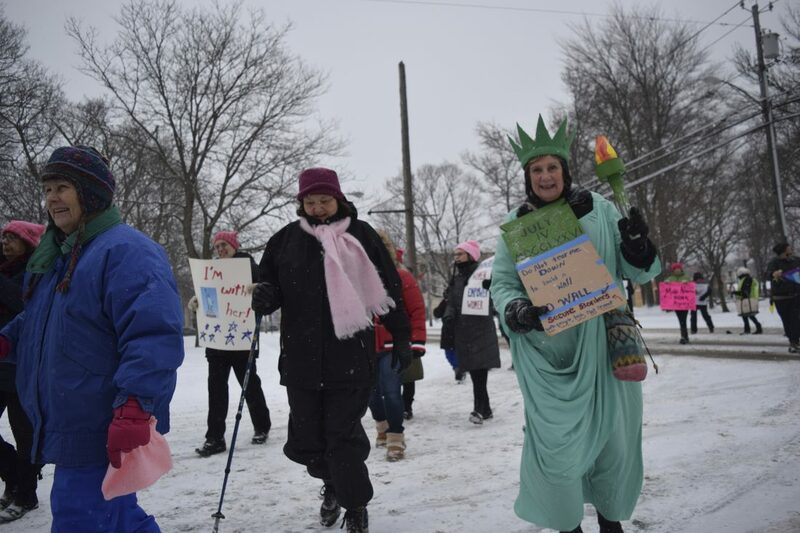 OBSERVER Photo by Andrew David Kuczkowski Judi Lutz Woods, right, of Fredonia dresses as the Statue of Liberty during Saturday’s Women’s March at Fredonia’s Barker Common. OBSERVER Photo by Andrew David Kuczkowsi Participants of the Women’s March of Chautauqua County hold their signs at the stairs of the Fredonia Village Hall on Saturday. Submitted Photo Little brown bats are one of several bat species that can be found in Chautauqua County. One little brown bat can eat over a thousand mosquito-sized insects in just one hour. Submitted Photo Jonathan Townsend, JCC biology professor and bat researcher, has devoted his career to teaching others about bats, their importance to local agriculture and their susceptibility to death and injury through disease, habitat loss and wind farm activity.